When wandering through a meadow during late winter it is not uncommon to come across a cluster of pendulous white blossoms atop delicate green foliage poking up through the snow, like a company of etherial ballerinas. 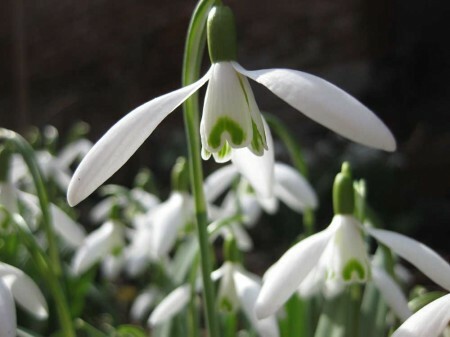 Understandably, these delightful blooms have earned themselves the popular name of Snowdrops. 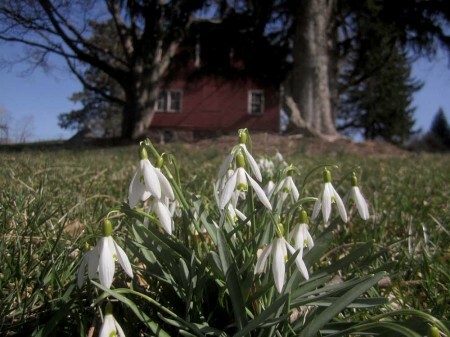 Snowdrops are not discouraged by cold weather or snow. In fact they seem to thrive. The common Snowdrop (Galanthus nivalis), and other related species are members of the showy Amaryllis family, and although far less bold and colorful, are none the less striking as they are often the only flowers to appear in an otherwise winter wasteland. Before the appearance of the blooms, a group of Snowdrops may be easily mistaken for a clump of grass, as its leaves are quite long and thin. However, once the flowers open, they demand all our attention with their elegant beauty. 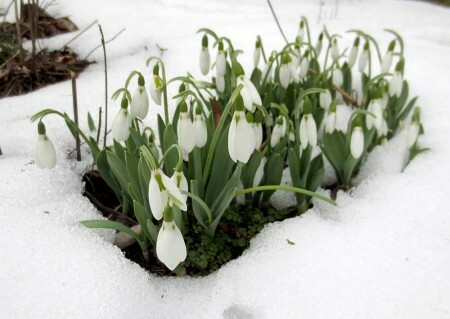 Even though they are cold weather lovers, the flowers are responsive to light and warmth, drooping mournfully on ill lit days and opening their petals wide when the sun appears. Actually, I lie. 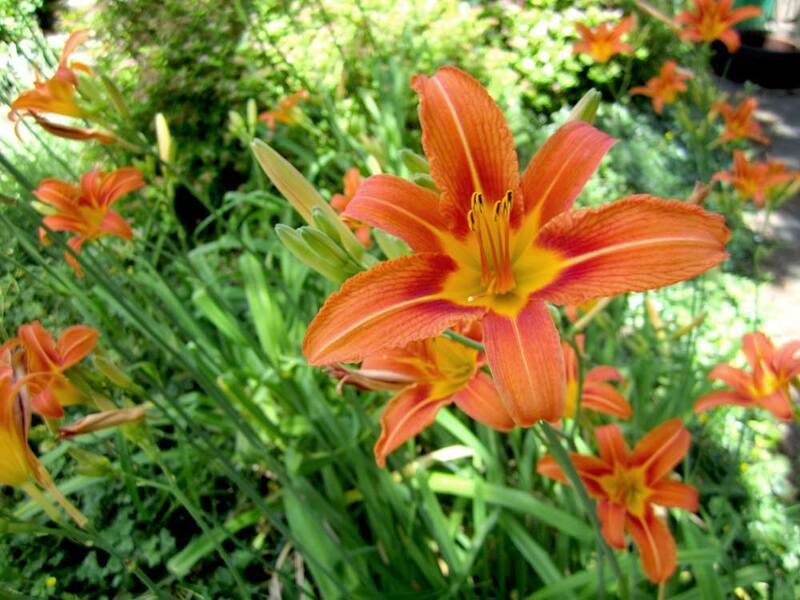 What appears to be three long petals around the outside of the blossom are in reality sepals. The shorter petals protrude from the middle of the flower like a funnel, tipped with green markings. After the flowers have died away there remains a seedpods containing small white seeds that contain a substance that attracts ants, that help to distribute them. 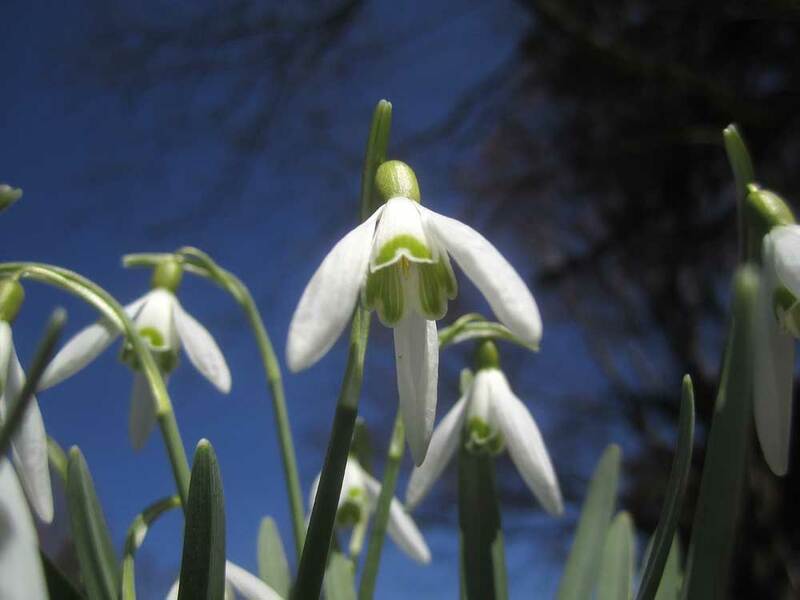 Although inedible in any quantity, the Snowdrop has some rather interesting medicinal properties. 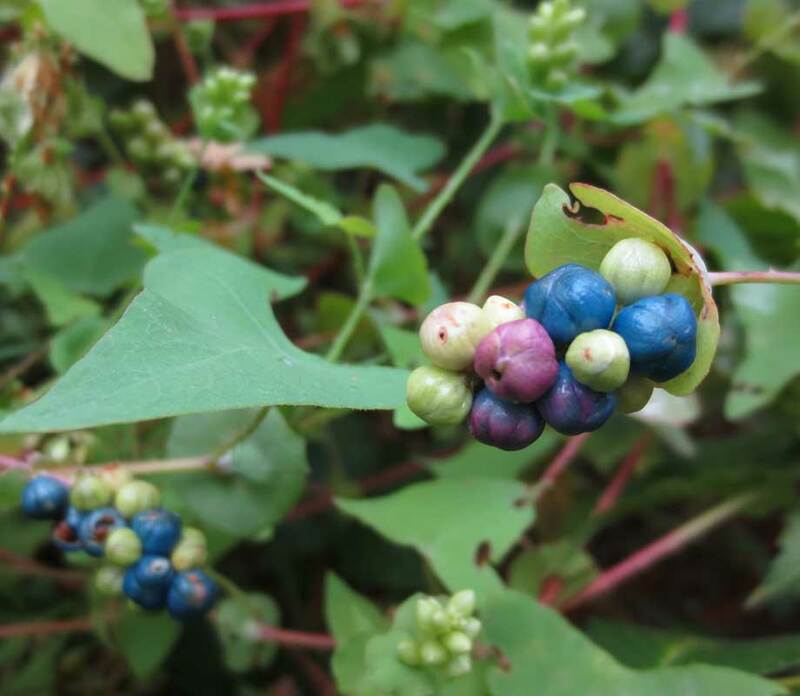 The plant contains galanthamine, an alkaloid which has proven successful in the treatment of Alzheimer’s disease and traumatic injuries to the nervous system. 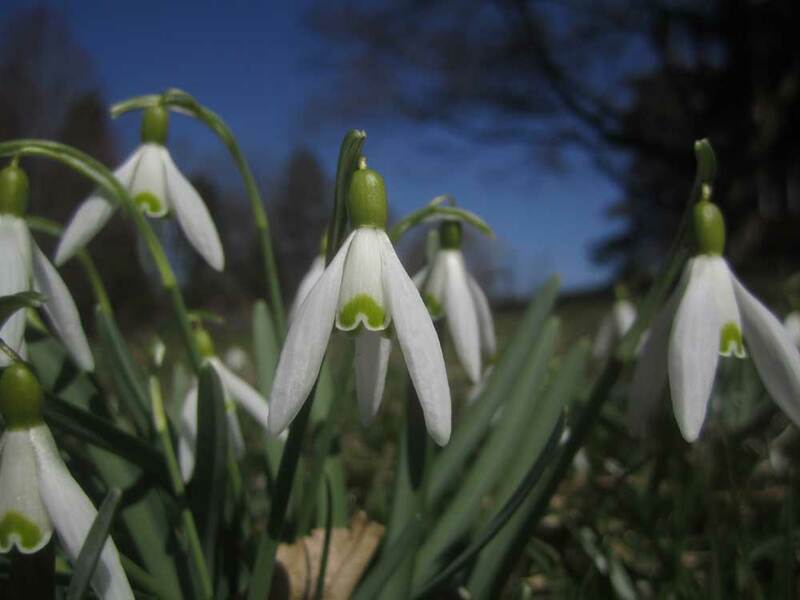 Snowdrop lectin is also being researched for its possible uses in treating HIV. 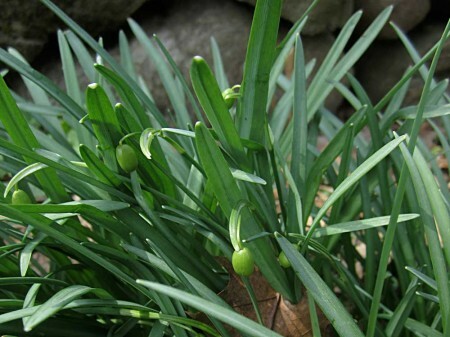 The plant makes a very effective insecticide against beetles, wasps and moths, however its most effective property is its ability to lift the spirits after a long cold winter, and to assure us that spring is just around the corner.